When you or a loved one has suffered a severe injury, your primary goals are most likely ensuring your health and healing, returning to work and resuming your regular activities. However, you may also be facing a crippling financial crisis as medical bills and missed workdays continue to pile up. To help you navigate the complex process and protect your best interests, it's essential to partner with a trusted attorney experienced in catastrophic injuries. Any injury has an impact, but one that is catastrophic in nature can have debilitating effects on the victim's physical, mental, emotional and financial well-being. After this type of accident, it is often difficult or even impossible to work, care for family members, pay bills or participate in everyday activities. In extreme cases, the victim may even be unable to perform basic self-care tasks. For most catastrophic personal injury cases, the effects are long-lasting—sometimes persisting for a lifetime. They can be caused by a range of events, including car collisions, physical assaults, impact during sports activities and accidents at construction sites and workplaces. Why Choose Us as Your Catastrophic Personal Injury Attorney? At The Law Offices of Gary C. Eisenberg, we have more than three decades of proven experience in personal injury law. After originally starting his career representing insurance companies, Gary switched sides to help injured people fight for their rights. 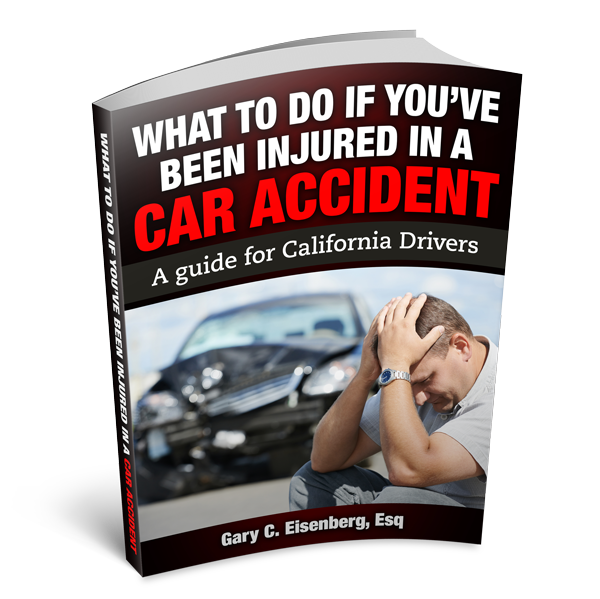 Our Calabasas personal injury attorneys are highly knowledgeable in handling even the most complicated catastrophic injury cases. We will do everything in our power to recover all compensation for your medical bills, physical therapy, physical pain and suffering, inability to participate in enjoyable activities, lost earnings, mental distress and other losses. We are adept at negotiating for the most favorable settlements, but are also prepared and equipped to fight cases in court when necessary. Personal attention: We are available to our clients 24/7, and handle all correspondence in a timely and personalized manner. Family-focused operations: As a small, family-owned business, we treat every client as one of our own. Proven results: We are committed to helping our clients recover maximum compensation for their losses and obtain the largest settlement or award available by law. Our success rates—both in and out of court—speak for themselves. Free representation until award: Simply stated, you don't pay unless we win. Don't let someone's recklessness or negligence plunge you into economic ruin. Contact The Law Offices of Gary C. Eisenberg today to get back on the path to physical and financial wellness, while helping to support your family members and anyone else who has been affected by the catastrophic physical injury.